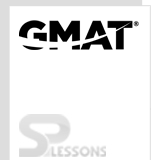 The Graduate Management Admission Test (GMAT) is a computer-based test conducted by the Graduate Management Admission Council (also referred as GMAC). It intends to assess certain skills of a candidate, including; analytical writing assessment, integrated reasoning ability, quantitative, and verbal ability. The assessment so made is used for admission to graduate programs around the world and the most popular among them is Masters in Business Administration (MBA). On the day of the GMAT exam, at the exam center, the test administrator will ask the candidate to present valid, original identification. GMAT ID requirements will apply to all GMAT test center locations. The GMAT ID requirements include: Current, valid government issued ID document with the name, birth date and country of citizenship matching the details provided at the time of GMAT registration. When you arrive at the test center to take the GMAT (Graduate Management Admission Test), you may have a great deal at the forefront of your thoughts. Save yourself from potential issues on test day by reading this section carefully and ensuring that you bring appropriate identification proof. Please note that Pearson VUE’s identification policies are slightly different from the policies used by other test vendors. Even if you have already reviewed the information on mba.com about identification required for the GMAT®, you should continue reading here. Note:No other forms of identification will be accepted. No different types of identification proof will be acknowledged. Introduce a second identification proof record from the above rundown that incorporates a signature. The name and date of birth printed on the identification proof should exactly match the name and date of birth on your confirmation letter. No exemptions will be rolled out for name improvements or other name errors. You will be made a request to leave the testing center without testing and compelled to relinquish your registration fee if your recognizable proof. Is not regarded substantial by the test administrator. All candidates testing in Bangladesh, India, and Pakistan must present a travel permit to test. All candidates testing outside their nation of citizenship must present a travel permit to test. Citizens of European Union/Schengen Zone nations testing in one of these nations that is not their nation of origin must present a travel permit, national recognizable proof card, or European character card (meeting the greater part of the prerequisites recorded previously). Test chairmen won’t acknowledge any type of recognizable proof from United States-restricted nations (counting Cuba, Iran, North Korea, Sudan, and Syria). To test, hopefuls from these nations must present legitimate ID that meets the necessities above demonstrating perpetual home in a non-banned nation.